If you're tooling around Lafayette, IN in a Hummer, we don’t need to tell you that you’re driving one of the toughest vehicles on the road. But even the most robust car or truck is eventually going to need car repair. And when that time comes for your Hummer, your best option is to trust it to the expert auto mechanics at Guaranteed Automotive & Transmission Service. We’ve been serving Lafayette since 1983, when we were primarily a transmission shop. 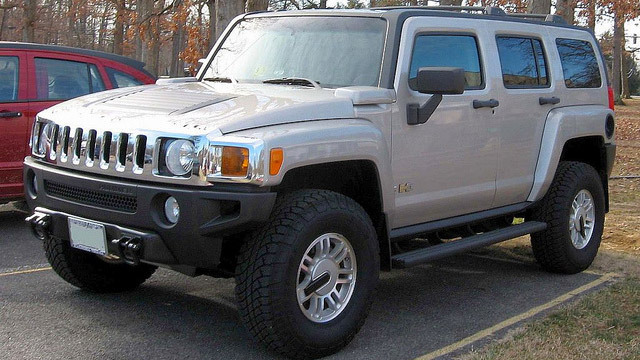 In 2007, we expanded to general car repair on all major brands, including Hummer. We have factory diagnostic tools for literally all domestic automotive manufacturers. No other independent shop in the Lafayette, IN area can say that. At Guaranteed Automotive & Transmission Service we’re so confident in our work that we offer a variety of warranty options. Ask for warranty details. So when it’s time to bring your Hummer in for car repair, rest assured that the auto mechanics at Guaranteed Automotive & Transmission Service will have you back on the road in no time. Schedule an appointment online , call us or stop by. Guaranteed Automotive & Transmission Service is conveniently located at 3742 State Rd 38 East Lafayette, IN 47905.